What if I invited you to go on a trip to nowhere? Without knowing the ultimate destination, you can’t just pack your bags and leave. The same is true with PPC. The ultimate destination of a PPC campaign is the conversion, and when it comes to getting new users in your conversion funnel, few marketing strategies are as effective as pay-per-click advertising. 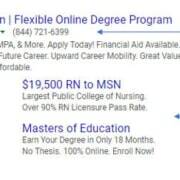 While a typical PPC campaign is reasonably easy to implement, getting real ROI tends to be a challenge for those who aren’t educated on paid advertising. Initial results are often disappointing and a poorly run campaign can lose a lot of money in a very short amount of time. As I alluded to above, finding success with PPC ads is all about knowing where you are taking prospective customers and then optimizing the journey in such a way that the maximum number of people convert in the end. Today, we’ll be looking at 8 proven strategies for optimizing our PPC campaigns to maximize conversions. We’ll start out with the basics, for anyone who isn’t caught up, and then we’ll move on to some more advanced techniques. This first point is simple but often overlooked. Your ads should match the landing pages they lead to. According to iSpionage, PPC ads account for 64.6% of clicks for keyword searches that imply high commercial intent. This means that when users see your ads and click on them, they often have immediate buying intent. If the landing page’s copy and images don’t match the ad, it can throw ready customers off and cause you to lose the sale. Go through you ads and make sure they match. Make sure the copy and images are consistent and that users see what they expect to see when they click-through to your landing page. This one’s an obvious inclusion on this blog, and instead of trying to summarize a complex subject, I’ll simply say that split testing your landing pages is a mandatory step in optimizing a PPC campaign. Here are some of Conversion Sciences’ numerous resources on the subject. Remember that testing is an ongoing process. No matter how good your initial results are, you can always improve. Most people that come in contact with your brand don’t follow a straight and orderly path to purchase. First time visitors often need more exposure to your brand before they feel comfortable pulling out their credit card. 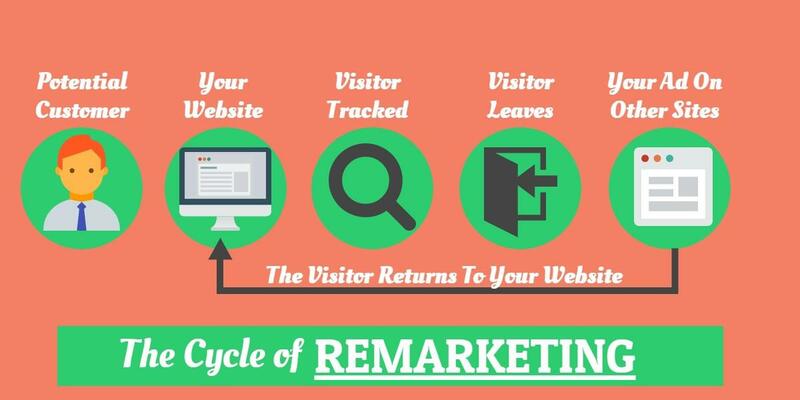 Retargeting is a form of advertising that allows brands to “retarget” website visitors by placing a retargeting cookie on the visitor’s browser. This allows the brand to display ads to visitors after they leave the site and continue on to other sites like Google, Facebook, or the Weather Channel. To learn how to run your own retargeting ads, check out this in-depth guide from WPCurve. 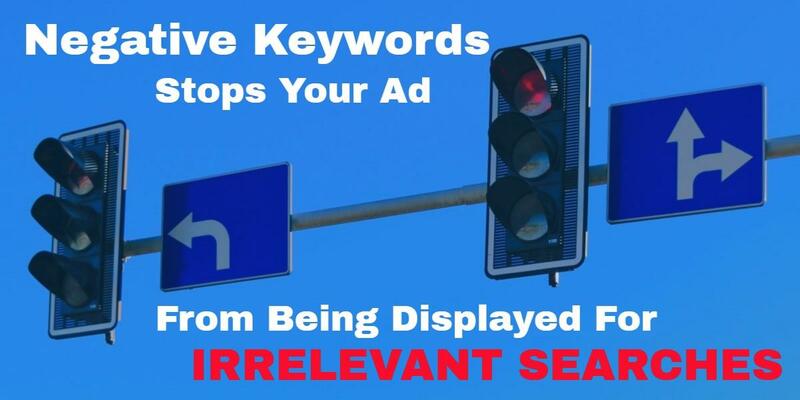 Keywords are very important when running a PPC campaign with Adwords. Google’s #1 goal is for users to find what they are looking for, whether they click on organic results or paid ads. Accordingly, Google will rate your PPC landing page for relevance to your target keyphrases, similar to how it rates organic landing pages. The less relevant your page is to the keyphrases you are targeting, the more expensive your bid price will be. The more relevant your landing page is, the more favorable your bid rate will be. It can also be helpful to use keyword groupings, which can increase your CTR and Quality Score while lowering your CPA. And of course, don’t forget to incorporate long tail keyword targeting as well. For a more in-depth look at keyword selection in PPC, check out this guide from WordStream. When setting up a PPC campaign, you will come across a field that gives you the option to select negative keywords. Negative keywords are words that have no relevancy to your product or offer. For example, if you are an online retailer of clothing, but you don’t sell children’s clothing, you can use negative keywords to filter out any search with the words “children” or “kids” in them. This way when people are searching for kids clothing, your ad will not show up. Negative keywords can have a huge impact on the success of your PPC campaign. They will not only cut wasted ad spend but also eliminate unqualified traffic from seeing your ads. This will result in an increased in Click Through Rate (CTR) and a reduced Cost Per Acquisition (CPA), saving you tons of money over the course of your campaign. Users behave very differently across each device, yet many advertisers today haven’t caught up to that reality. Optimizing ads by device type is mandatory in 2017, which is why Google introduced device level bidding in AdWords last year, allowing advertisers to have greater control over how they display ads. 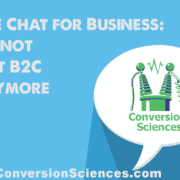 How you utilize desktop versus mobile channels will depend on your product or service. If you’re selling a product online you likely are seeing a trend towards more mobile purchases. According to a CMS Report the average smartphone conversion rate is up 64% compared to the average desktop conversion rate. Service based businesses are also reaping the benefit of mobile with 88% of consumers visiting or calling a business they found through search within 24 hours according to a Google Mobile Movement Study. For more on optimizing across device, check out some of Google’s resources and walkthroughs. When possible try to make the next step for your visitors simple and straightforward. One way to do so is to reduce the number of fields on your sign up form. A study conducted by Quicksprout showed that by limiting the number of form fields to only 3 can result in up to a 25% conversion rate. While 3-5 fields falls to 20% and greater than 6 fields can result in less than a 15% conversion rate. Again A/B testing is required here; test different signup forms and use the one that gets the best result. Moving forward you should disclose the next steps to ease the anxiety of the buyer. Try showing the checkout page in stages so you don’t overwhelm them all at once with dozens of form fields. Set expectations for shipping prices and times early so they don’t feel deceived when they reach the final checkout screen. The more transparent and straightforward you are about the purchase process the more the client will trust your brand. Which means a higher conversion rate and in all likelihood you’ll creating a recurring customer. Show trust seals to confirm to the buyer that your system is secure and their personal information is safe. Accept different modes of payment to make it more convenient for the users to buy. And lastly do not forget to have a good confirmation page to ensure the customer about the order being placed. Make it clear the order went through and use the opportunity to add some personality to your brand. Humanize the experience by adding some humor or sharing a funny gif or picture. A great example of this was used by CDBaby.com where they created a visual of the journey your newly purchased CD would look like from the warehouse to your front door. Offering special offers and discounts to your customers is a great way to quickly draw visitors to your site.The key to special offers is using the right words to motivate potential customers to navigate to your page and learn more. Words like Sale, Off, Now, Best Sellers, and New will grab your potential customers attention and entice them to click through. If you are giving discounts for a limited time period, don’t forget to mention it because people are more likely to rush in when the offer is for a limited period. Words like Act Now or Limited-Time Offer pack a punch and encourage customers to act fast. Make your offer worthwhile and drive home the benefits of shopping with your website. Make it clear if you have free shipping and your ship times are 2-3 days. Give them a sizeable discount (20% or more). A/B testing different discounts and offers are highly advisable as well. PPC is one of the most reliable channels available to marketers, but there’s not a lot of room for error. In order to get real ROI, you have to really dial in your campaigns, and that can only be accomplished with consistent optimization and testing. If you’ve been thinking about getting started with PPC or unsatisfied with your PPC performance, hopefully I’ve been able to give you some helpful pointers today. Let me know in the comments what your thoughts are on these tips and if you have any of your own to add. 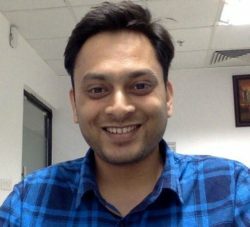 Dinesh Thakur is the co-founder of Ads Triangle, a Google Partner and Bing Ads Accredited agency. He is a Google Adwords expert with a passion for PPC and has helped hundreds of businesses grow their revenues through pay per click advertising.